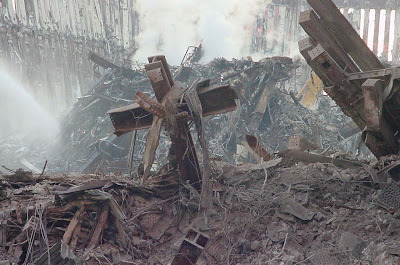 We know the journalistic story of 9/11. We know all too well what happened on that day. But what we need to be reconnected with is the emotion. What happened to us all just in watching those horrific events unfold – to the way we think about the world, about good, about evil. What the story needs is a poet. Damian Gorman is that poet, with the Irish gift of speaking directly to the viewer. Sometimes described as Northern Ireland’s best-kept secret, he has made a celebrated verse-film about the Troubles (Devices of Detachment, ‘a television masterpiece’, Sunday Telegraph) as well as many other films for both BBC and Channel Four; a play set and acted out in the old Belfast court-room which attracted world-wide interest; and has a public profile as a performance poet and campaigner for peace and reconciliation that has led to him being awarded an MBE. This will be the premiere of an initial version of the film, with a special score performed by renowned cellist Matthew Barley. Director Hugh Thomson has a strong award-winning record as an ambitious film-maker, often with a rock and roll twist, and with what the Observer described as ‘a daring commando-style’. With a background as a cameraman, he has often shot sections of his films himself and has constantly re-invented his documentary approach. 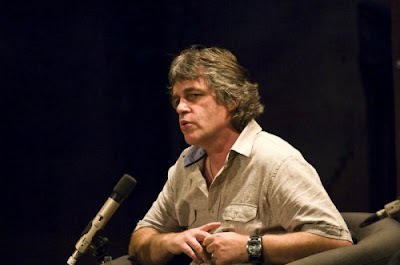 His acclaimed Dancing in the Street: A Rock and Roll History won plaudits (‘Hugh Thomson’s magnificent ten-part history is the most radical and the most ambitious history of rock ever attempted on television' – Daily Telegraph) and a BAFTA nomination, and he has made many authored programmes with writers including Devices of Detachment with Damian. Producer Ben Taylor concentrated solely on a successful acting carer until 1985 then expanded his creative interests to include event production, music, musical production, and documentary film making. A partner in independent film production company Orpheus Films. In collaboration with ‘The Bee’ & experimental conductor Ya’acov Darling Khan, Matthew Barley has composed a haunting ‘Requiem for 9/11’ bringing together an ambient electronic soundscape with a passionate, melancholy improvised cello melody. One of the finest cellists of his generation, Matthew has appeared as soloist with orchestra and in recital in many great concert halls around the world. Equally comfortable with improvisation, Bach Suites or making music with Indian, Sufi, African or Jazz musician. 'I wish more people would think about music the way Matthew Barley does' – The Times (London). There will be a chance to ask Damian and the other film-makers questions after the screening.